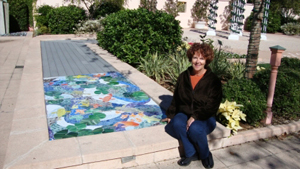 If you've visited the Florida Botanical Gardens www.flbg.org recently, you've probably wondered what happened to the beautiful Wedding Garden fountains. 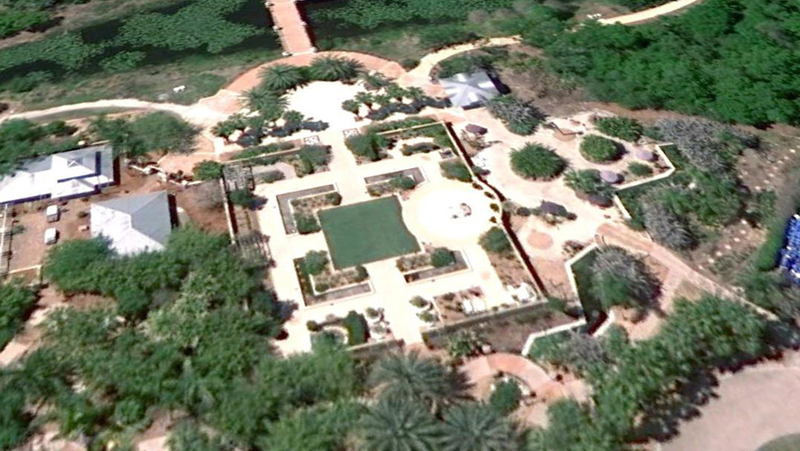 The water no longer flows, the pools are empty and boarded over. You can blame the state of the economy? Eliminating the expense of the maintenance required to operate the fountains became a sad necessity.Water conservation is also an important consideration. 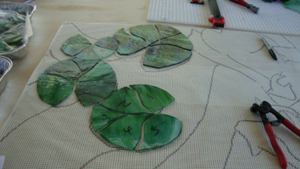 But exciting news! 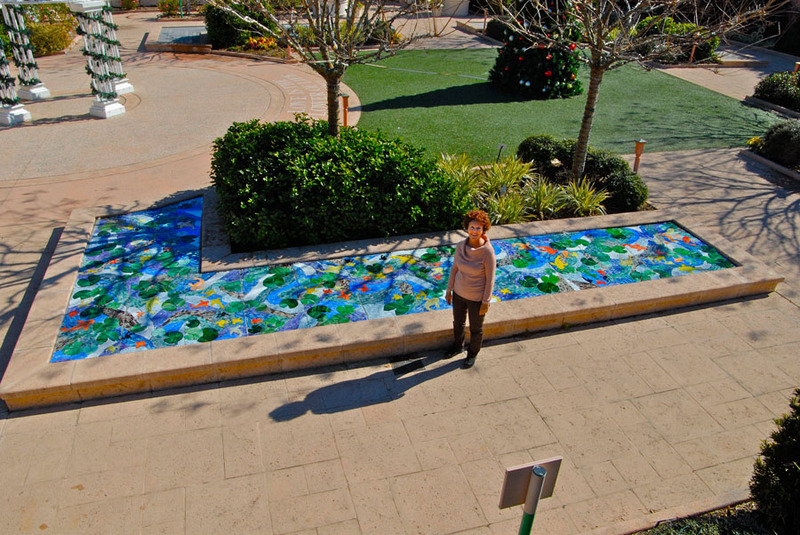 The dry fountains will soon be transformed into shimmering works of nature-inspired art! 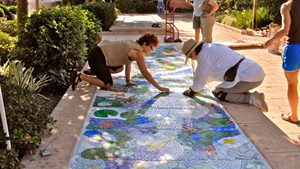 Artist and Florida Botanical Gardens Foundation board member Heather Anderson inspects the location selected for an exciting new art project a nature-inspired glass mosaic designed for the Wedding Garden with Florida Botanical Gardens Foundation President Chuck Scadffi. 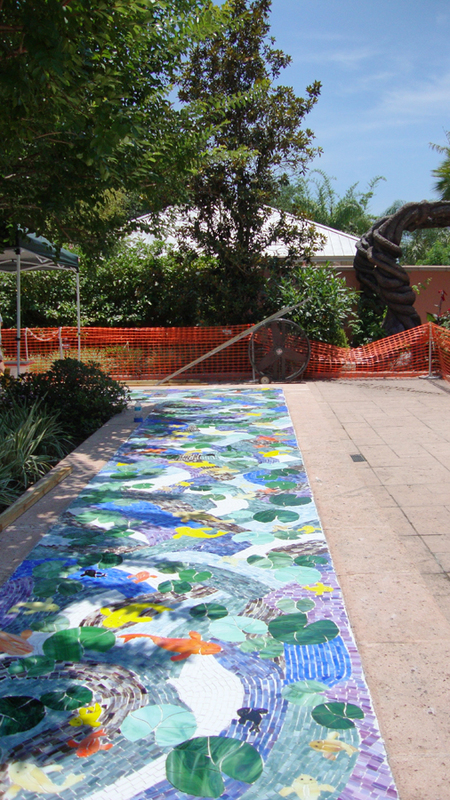 The ambitious project is the brainchild of new board member Heather Anderson www.andersonart.com, a recent transplant to this area who brought with her from Illinois, an artist's eye and talent. 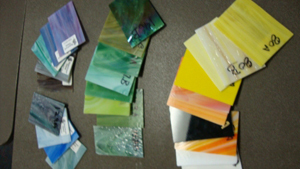 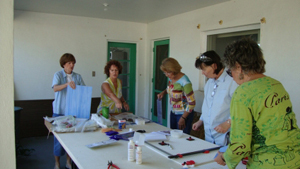 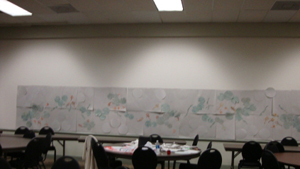 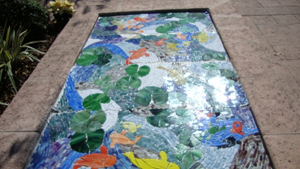 She proposed creating a glass mosaic of a pond with fish, frogs and butterflies to beautify the area and it didn?t take long for the rest of the board members to get caught up in the excitement. 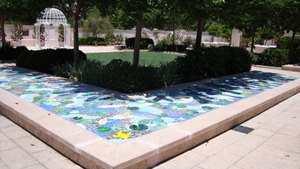 The inside perimeter of the wedding garden previously contained many attractive water fountains. In the interest of water conservation and elimination of the high maintenance required to operate these fountains, the areas were closed. 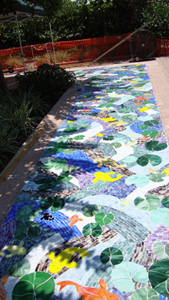 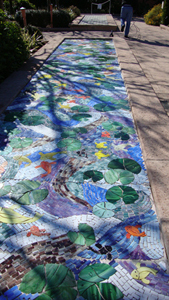 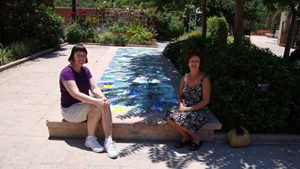 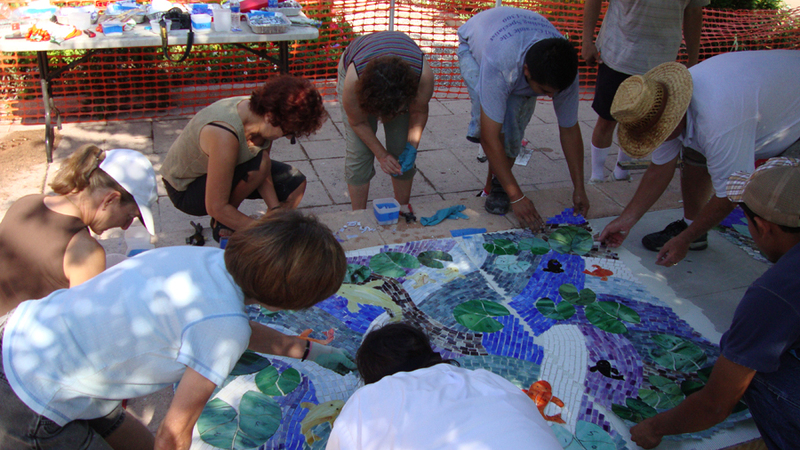 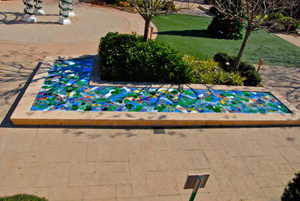 As an alternative to the fountains, Ms. Anderson suggested a mosaic design that would cover all the boarded up fountain covers. 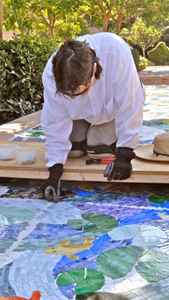 The project construction will be environmentally friendly and bring to the wedding garden an artistic visitor attraction. 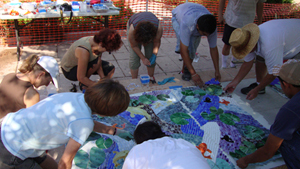 Heather has recruited numerous volunteers in the community and Laticrete International www.laticrete.com is donating the materials for the installation. 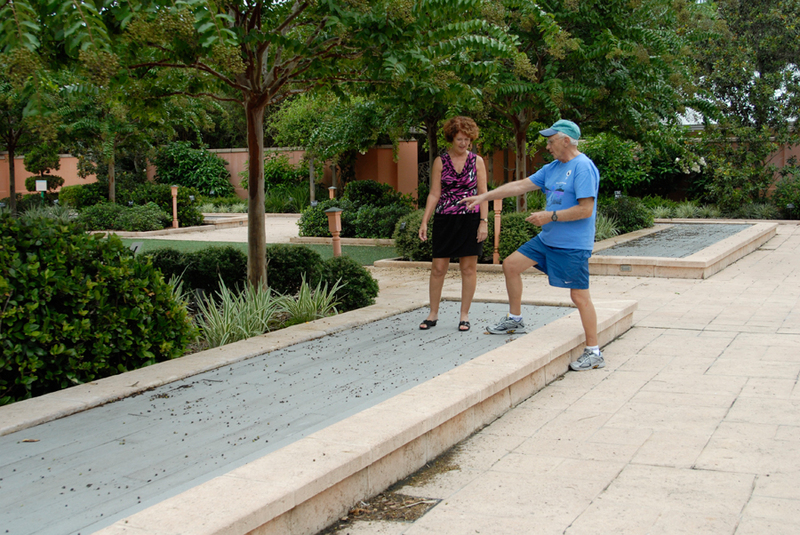 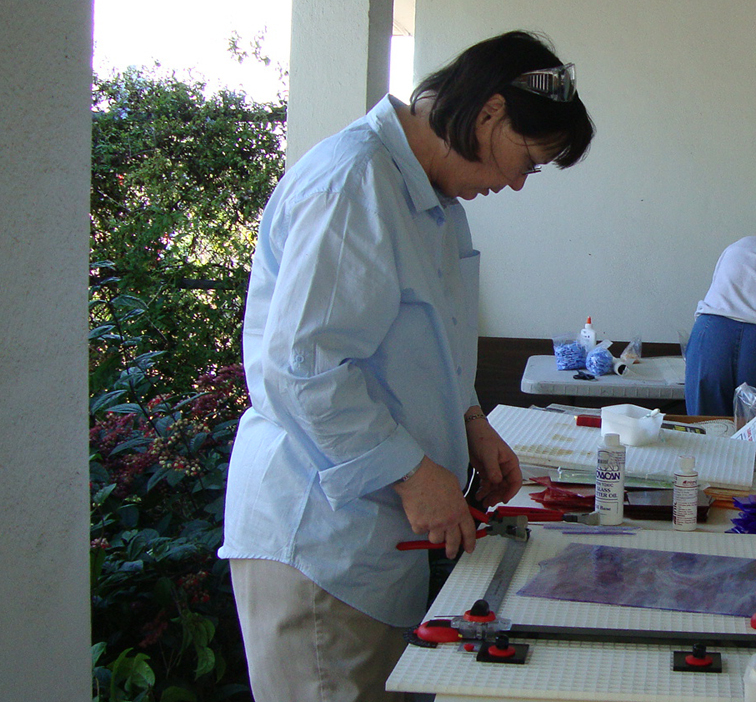 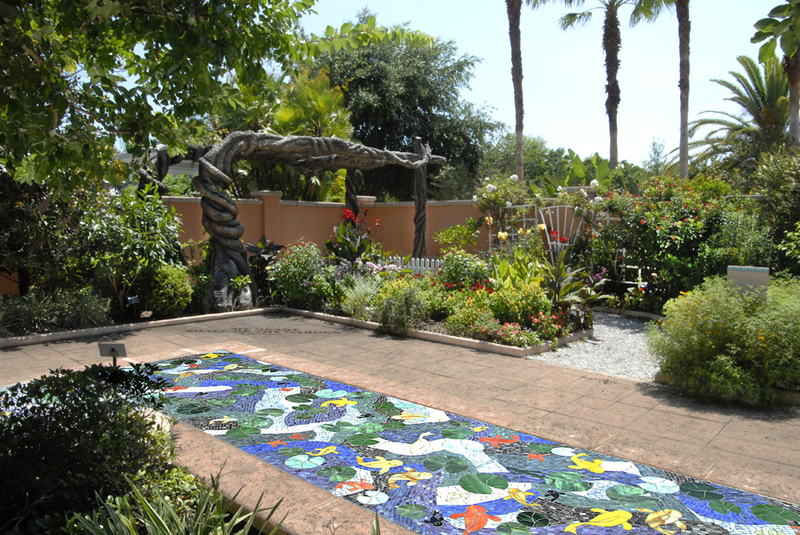 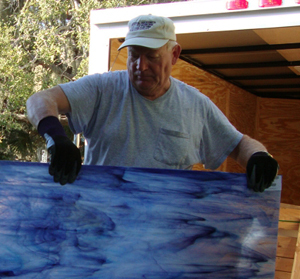 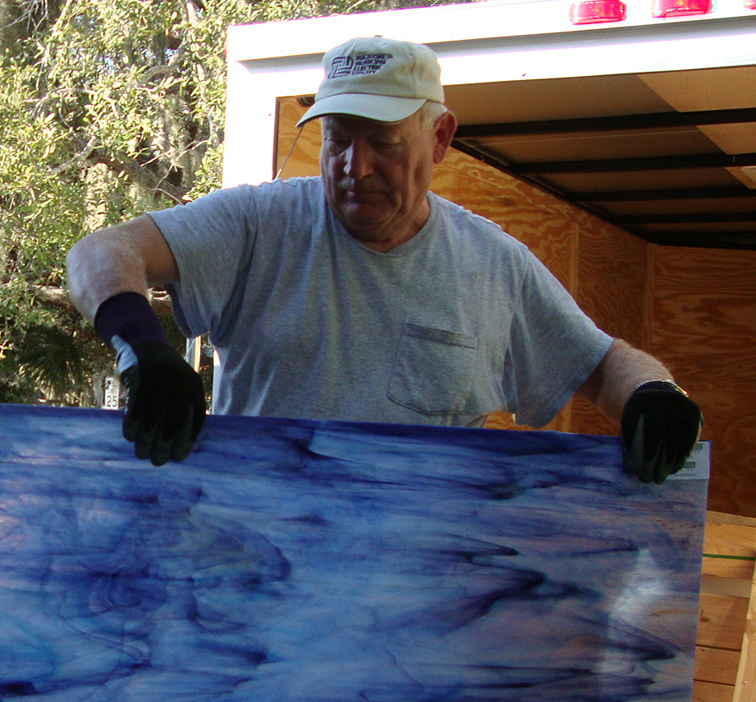 The Florida Botanical Gardens Foundation has donated money for materials. 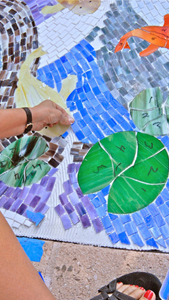 We are excited about this huge project and would like the community to be involved in helping us create it. 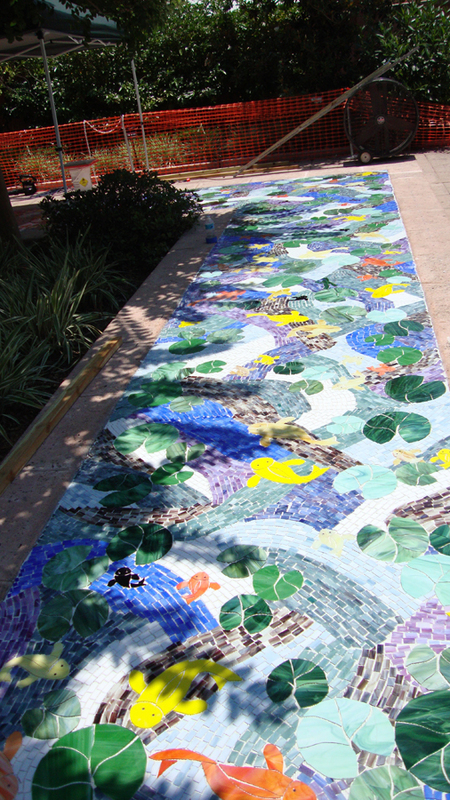 How would you like to help and also name this project? 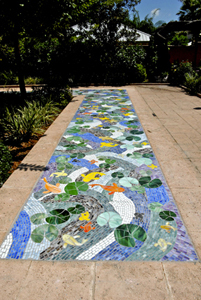 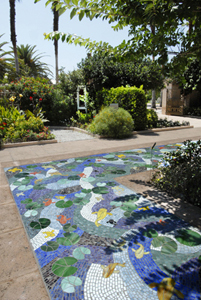 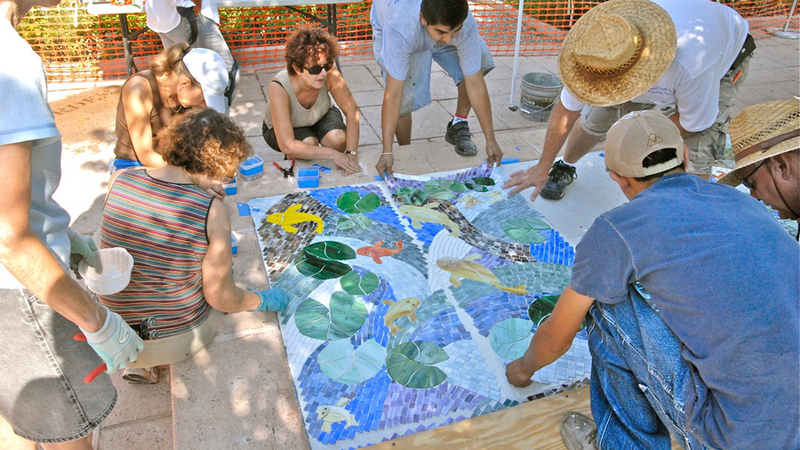 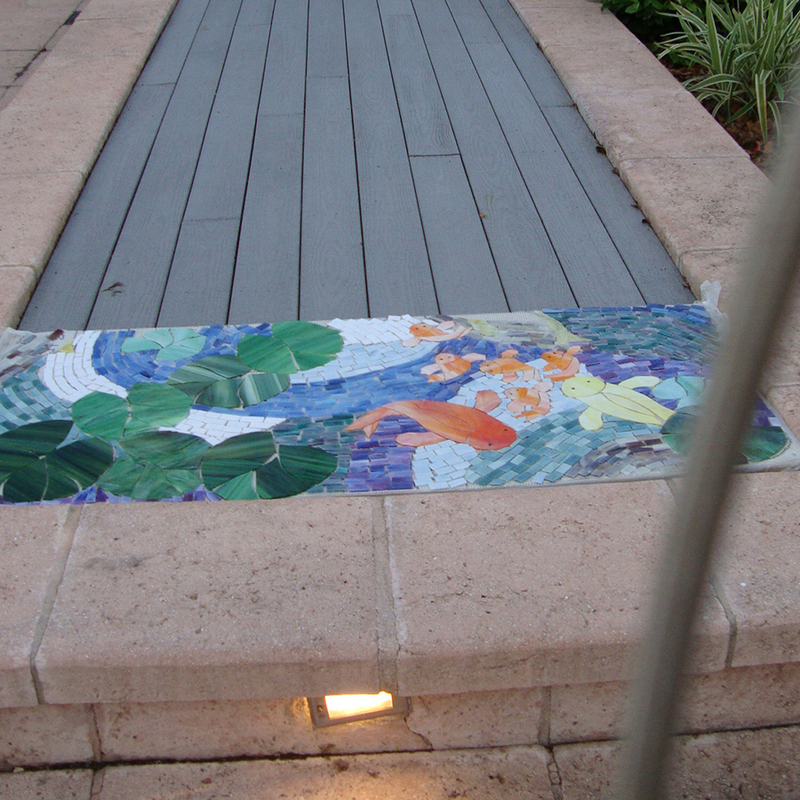 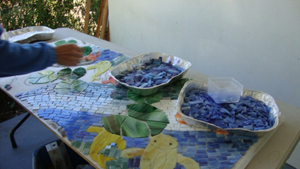 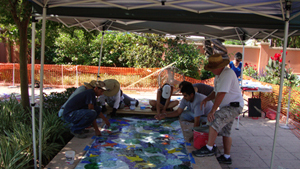 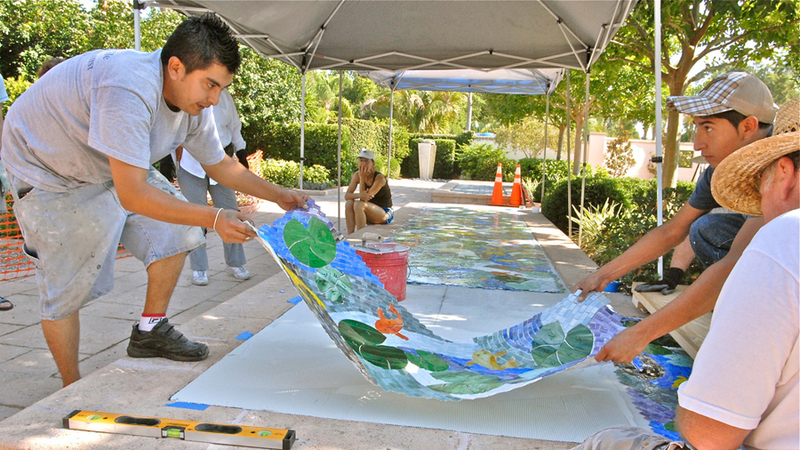 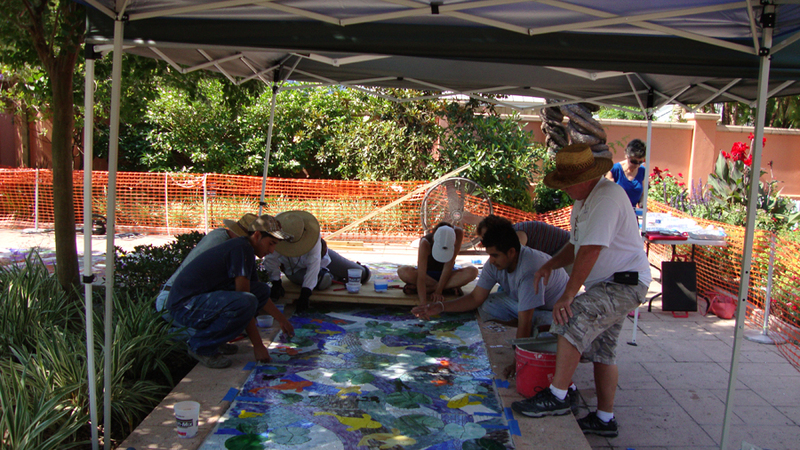 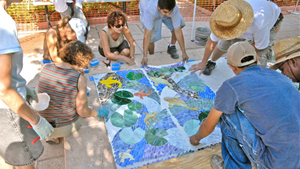 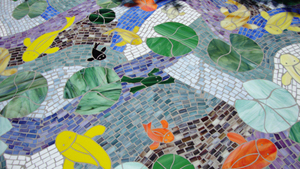 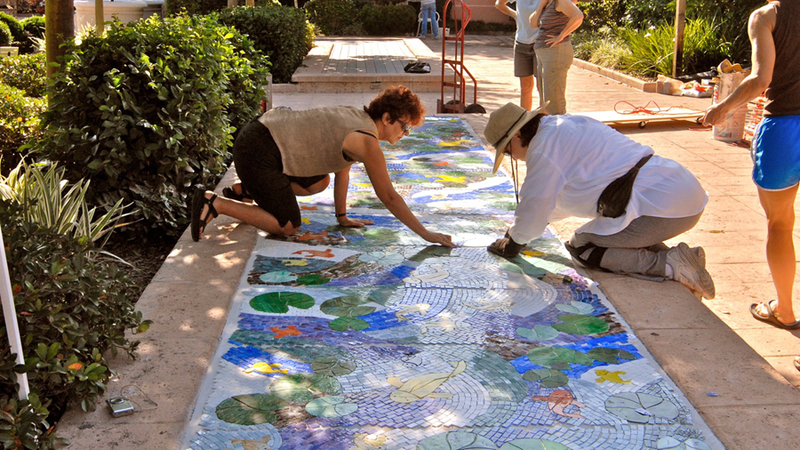 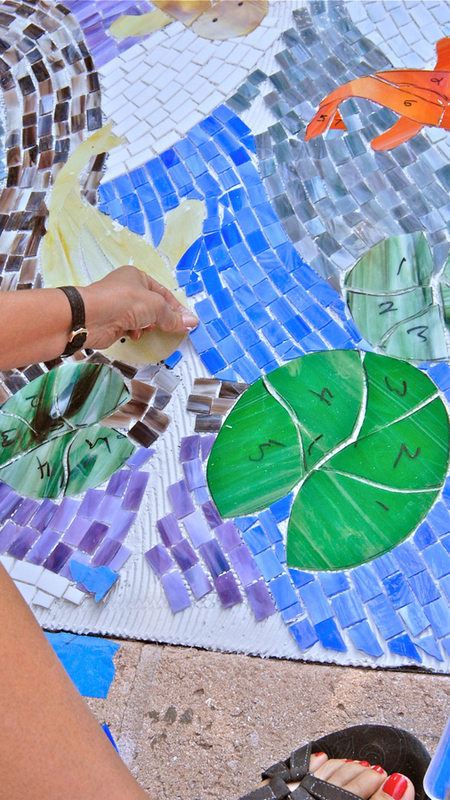 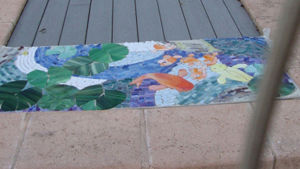 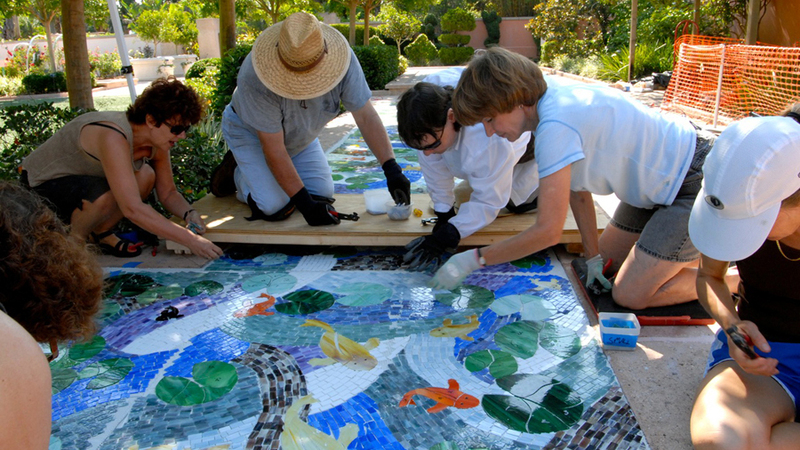 The mosaic will simulate a pond with an array of lily leaves, fish, frogs and butterflies. 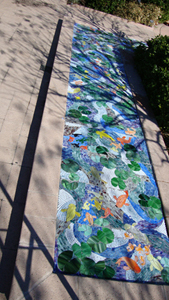 The perspective will be looking down at the stream so the viewer will see the top of the pond. 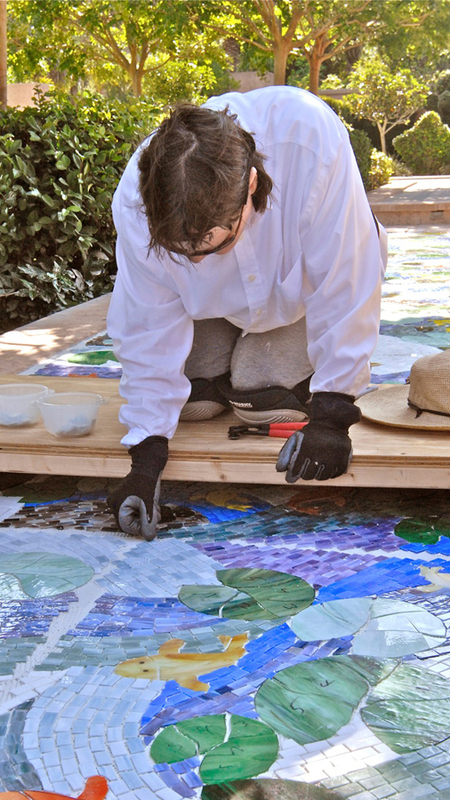 Ms. Anderson is donating her design, project management and installation time. 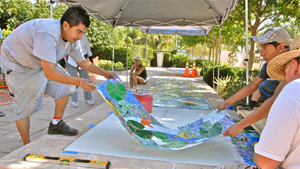 Ceramictec a Tampa Tile Contractor to donate design and installation labor along with Laticrete International to donate the setting & grouting material for the project. The Florida Botanical Gardens Foundation has donated money for materials. 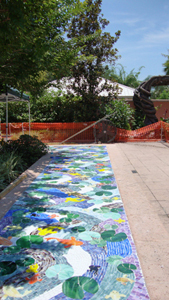 The Florida Botanical Gardens is grateful for all the support the community is giving especially in these tough economical times and welcomes your participation.